An oil boiler service should be carried out annually to make sure your boiler remains safe, reliable and efficient. 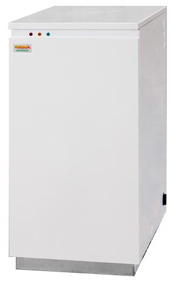 Leaving an oil boiler for long periods of time without a service can cause “sooting up” which can result in increasing fuel consumption, decreased reliability and higher repair costs. Even more worrying is without a regular oil boiler service, you boiler will not be checked to ensure it is not producing deadly carbon monoxide. What’s included in an oil boiler service? A typical oil boiler service should take somewhere in the region an hour and will leave you rest assured that your boiler is safe and in good working order. Get your oil boiler service booked today and make sure you have an efficient, safe and reliable oil boiler for the long term. Please complete the form below and we will contact you to arrange an oil boiler service.